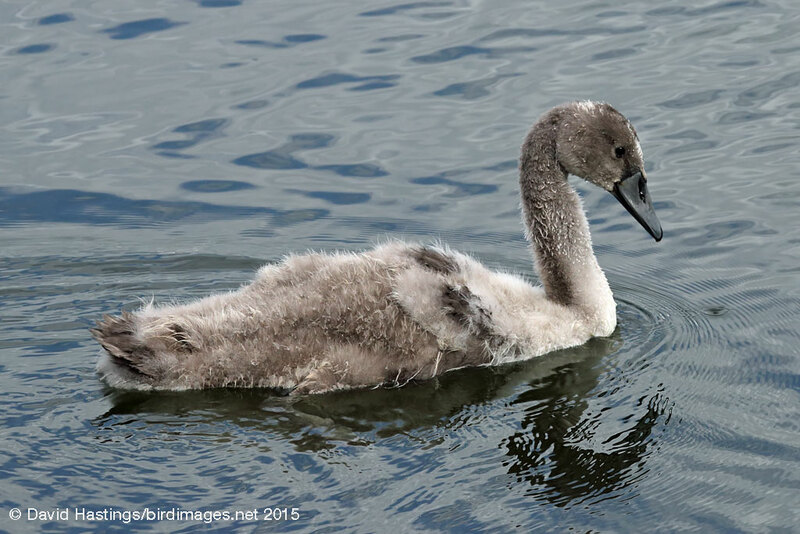 Mute Swan (Cygnus olor). Taken at Otmoor, Oxon., on April 30th 2016. Taken at Otmoor, Oxon., on April 30th 2016. 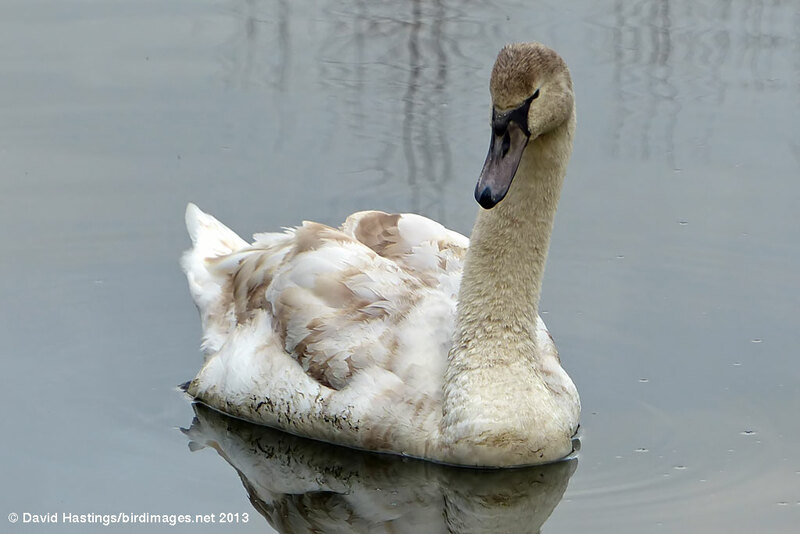 Mute Swan (Cygnus olor). Taken at Farmoor, Oxon., on April 20th 2013. Taken at Farmoor, Oxon., on April 20th 2013. 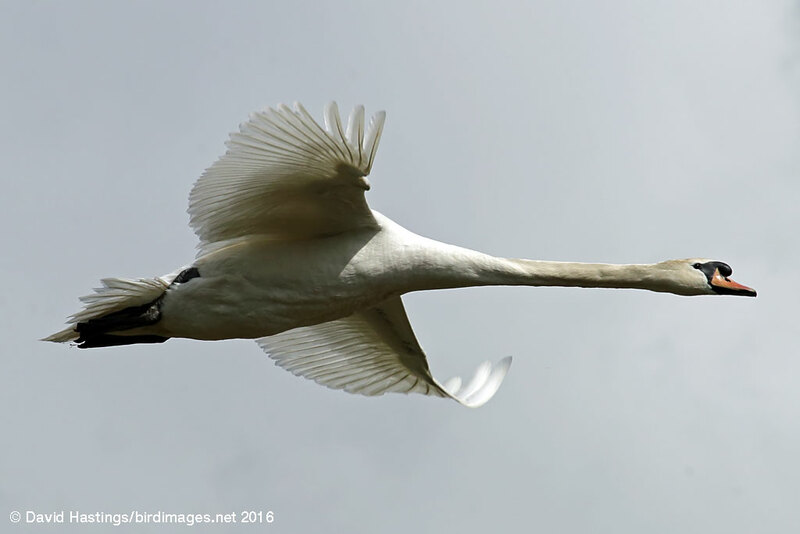 Mute Swan (Cygnus olor). Near-adult. Taken at Otmoor, Oxon on May 9th 2011. Near-adult. Taken at Otmoor, Oxon on May 9th 2011. Mute Swan (Cygnus olor). Juvenile. Taken at Rushy Common, Oxon, on August 15th 2015. Juvenile. Taken at Rushy Common, Oxon, on August 15th 2015. 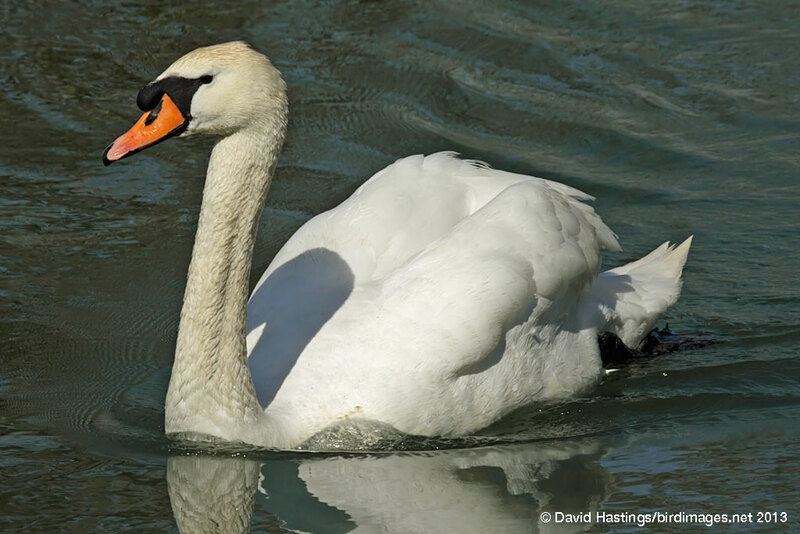 The Mute Swan has a long S-shaped neck, and an orange bill with a black base. It flies with regular slow wingbeats. It is found widely in the British Isles and western Europe. It breeds on freshwater lakes, generally with reed beds. Mute Swans are not shy of humans, and can act aggressively. It is on the UK's amber list, as the population is still recovering from loss of habitat, and poisoning by lead fishing weights.